This Arizona Department of Health Services (DHS), Bureau of EMS approved course follows the U.S. Department of Transportation (DOT) National Standard Curriculum for Emergency Medical Technician – Basic Refresher. Students who successfully pass the course, will be presented with a certificate outlining the applicable topic areas. Students are only permitted to take the examination once. 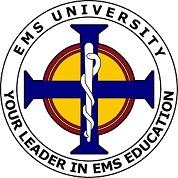 Failure of the written or practical examination, will require the student to take the full 24 Hour EMT Refresher Course. NOTE: STUDENTS ARE STRONGLY ENCOURAGED TO TAKE THE REFRESHER COURSE SINCE CHALLENGE STUDENTS WILL NOT BE PERMITTED A REVIEW OF EXAMINATION MATERIAL PRIOR TO THE CLASS. THIS OPTION IS RECOMMENDED ONLY IF YOU HAVE ADEQUATELY PREPARED.